"Mininebo was fast, generous with showing variations, and prolific with ideas and submissions. Highly recommend! " "Excellent work. Thanks very much. I love what you have done." "It was AMAZING to work with Mininebo! She gave us everything we asked for and even more! 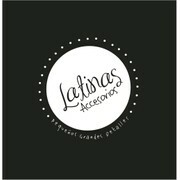 We are more than satisfied with her effort and time invested in creating our logo! Thank you now and forever Mina. You are a very talented and professional artist!" "WOW! Talk about going above and beyond to making sure a customer is happy! Mininebo did not stop until I was 110% satisfied. I could not be more pleased with me one of a kind logo, grace, and patience that was given to me throughout this whole process...."